Starting February 7th, Modern Art Gallery is sharing the best collection with you to celebrate the great new year of dragon. <The Dragons’ blessing> will be featuring artists Qu Qanmei, Zhang Guolong, Shih Li-Jen, RenZhe and Chen Liu. Hoping the unique style of each artist will bring you the best blessing for this new year. 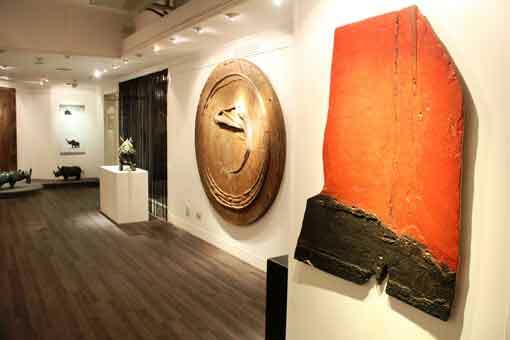 Within couple years, Qu Qanmei has become popular in the contemporary art market in China. Qu had shown her majestic style in her very own unique way. Building the structure with linen and wood, painting over with crude lacquer and loess; Qu had created a completely fresh sense to the audience. 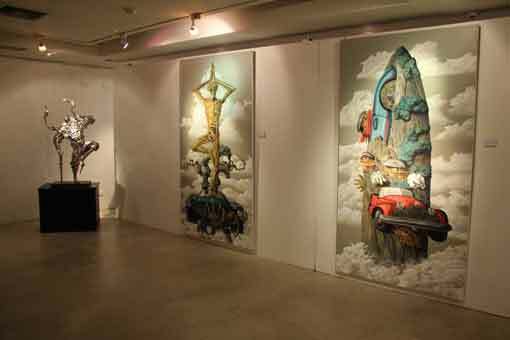 Beijing, Shanghai, Singapore and Taiwan have responded with praises to Qu’s painting. We are also looking forward to Qu’s upcoming show in UNESCO 2012, France. Starting in 1994, Zhang Guolong had started his abstract painting with both sense and sensibility. 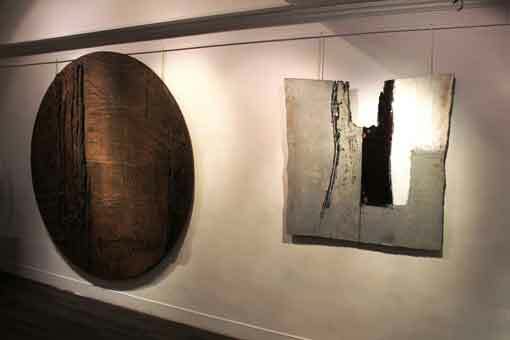 Zhang’s early painting was marked with square in soil red color; later in the “Square and Circle” series, through the geometry shapes, the paintings spoken out the ancient Chinese philosophy- orbicular heaven and rectangular earth. 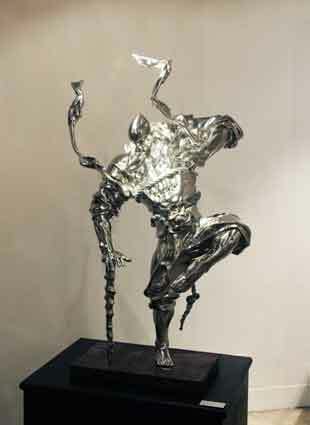 Zhang defines his style with the combination of western abstract and Chinese philosophies. 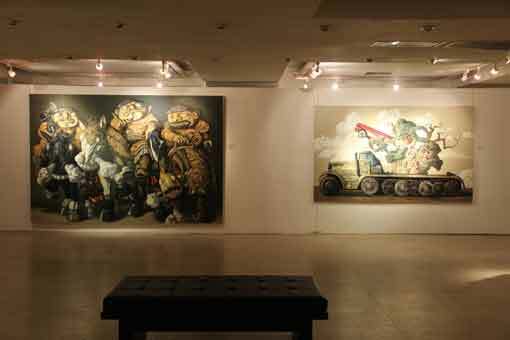 In 2009, Zhang had put his reminiscence of home in the “Yellow Soil” series by painting with the real soil from home. Starting 2011, Zhang’s ideas are even more complete; with the upside down pyramids, the “Angle” series once again speak out the sense and sensibility of art and philosophies. 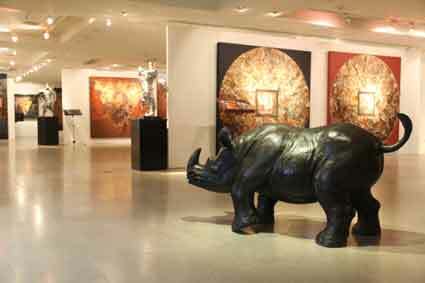 Collectors of Shih Li-Jen’s art works come from all over the world. In the end of 2010, along with the successful grand opening of the 888cm grand sculpture- the “King Kong Rhino” in XingYi distract, Taipei; the Fo Guang Shan Buddha Memorial Hall also has a new collection of Shih’s “Rhino Family” series. Rhino was said to be transformed from the ancient Chinese magical creature- Kylin. With its armor and rivet, King Kong Rhino expresses futuristic manner and post-modernism and the wine bottle container in “King Kong Rhino” series is a perfect blend of classic and modern. 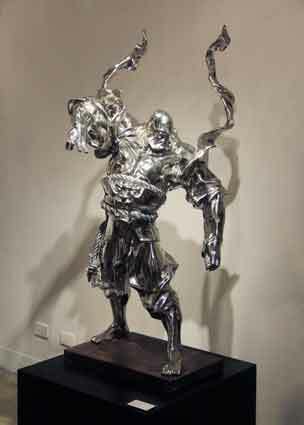 As an artist after the 80s, heroism has highly infected Ren Zhe’s art. 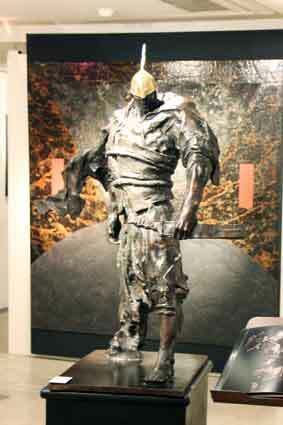 Ren’s sculptures speak out the modern thoughts and his own mind with the ancient warriors figures. On the other hand Chen Liu’s painting had shown the reality from a total unique contemporary perspective of his own. In the new year of 2012, Modern Art Gallery presents to you five great artists’ works, wishing you an artistic happy new year. Also, for this coming year, Modern Art Gallery will continue to bring you great arts.